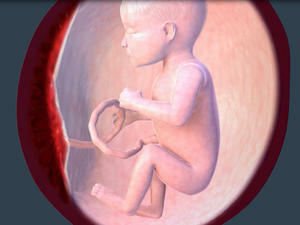 You're almost through the second trimester! 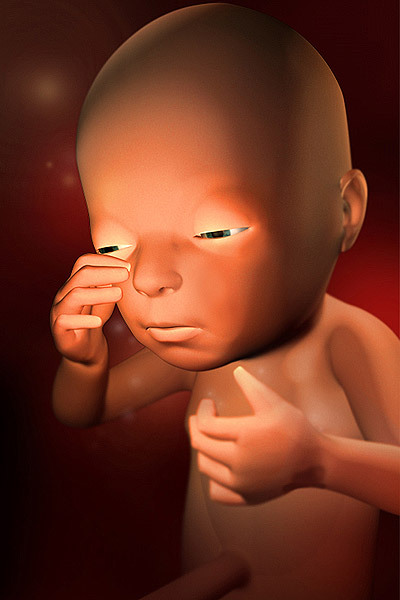 Find out what's happening with your baby's development in week 27. Plus, learn all about hepatitis and pregnancy, as well as fighting the pregnancy blues. Your baby is now the size of a cauliflower. At this point, he can most likely distinguish between your voice and your husband's or partner's voice. Your baby has been hiccuping every once in a while for several weeks, and now you might actually feel these baby hiccups, which are triggered by the involuntary movements of his diaphragm. (In adults, this is followed by the quick closure of our vocal cords, which is what makes that familiar "hic" sound.) But because your baby's trachea is filled with fluid instead of air, his fetal hiccups don't make a sound. They will make your belly jump though, which is fun to see and feel! Now that the baby-to-be is growing rapidly, it's harder to get a complete profile in the womb (he just doesn't fit in the picture anymore!). 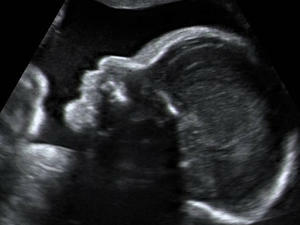 Even though he has more than tripled his weight since this trimester began, there's still plenty of growing left to do. Been feeling a little more outspoken or even on-edge lately? Many women find that being pregnant makes them more assertive than usual — and better equipped to set boundaries at home, at work, or anywhere. The awareness that you're responsible for another little person is often motivation enough to speak up or say no when necessary. Like asking a friend (or a stranger) to stamp out her cigarette when she's lighting up nearby. Pregnancy also has a way of making you hyper-attuned to your instincts. So that tiny voice in the back of your head telling you "I need a seat on this overcrowded bus — stat!" is suddenly toting a megaphone, which helps you go with your gut and do what's best for you and your baby. And the more you can get in the habit of setting limits now, the happier and less frazzled you'll be once you've welcomed your new addition to the world. If your ever-growing bump is starting to get in the way of your fitness routine, take your workout to the pool. A big belly can make jogging or aerobics uncomfortable, but swimming will likely feel soothing as you move weightlessly through the water. 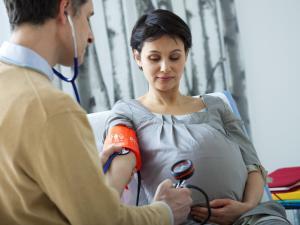 The Scoop on Birth Plans: Are they Pointless or a Labor Must-Have? For Week 27, we'll tackle birth plans: what goes into them, how you make one, what NOT to put in one, and whether it's even something you'll use when, ahem, push comes to shove. Can I use a secondhand car seat to save money? As you reach the end of your second trimester in week 27, take note of how your baby is defining herself in the womb and other exciting fetal developments!